Getting to Kumsheen | KUMSHEEN | Raft. Relax. Recharge. It’s easy to get here. 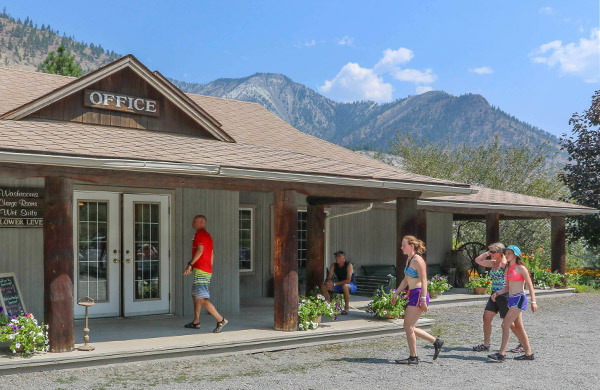 We are conveniently located just past Lytton and the Scenic Fraser Canyon at 1345 Highway #1 (Trans Canada Highway). If you are coming from points west, be sure to stay on Highway #1. This means you take exit #170 off the freeway at Hope, B.C. and stay on Highway #1 east. At Lytton, stay on the highway and continue east 5 km until you see the Kumsheen Rafting Resort signs and our resort (on the left). If you are coming from points east (Kelowna, Kamloops), take Highway #1 west. Look for the Kumsheen Rafting Resort signs on the highway as you near Lytton. We are on the right side of the highway and have large signs at the entrance to our resort.